Deep Sea Robot. 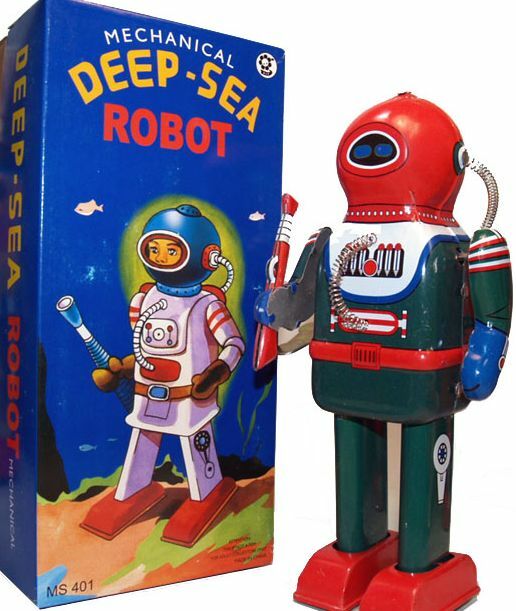 Wonderful reproduction of the rare classic 1950's Space Robot Diver with spring detailing oxygen line. Robot stands 9" tall and comes complete with box and metal key. Great action as he walks forward with mechanical swaying arms.